Every kid knows this. Every kid loves it. MAGGI. Watch your kid turn into something he loves. Watch everyone love your kid’s costume. A unique idea, this costume is sure to give your kid a DELICIOUS edge. 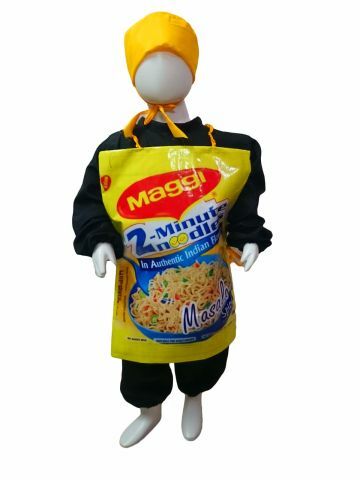 Keywords: Maggi costume, Instant noodles costume, Fast food costume, western food costume, Unhealthy food costume, patanjali noodles , maggie , magi .